There are people whose destiny hides behind small details, for example a surname which from birth defines a temperament and an attitude in life; this is Letizia Battaglia’s case (and indeed Battaglia means battle in Italian). Hers was, and still today is, an incessant battle in order to affirm her ideals of justice and freedom through her photographic projects and her cultural and political commitment to redeem the city of Palermo and its beauty. After spending in Trieste the first happy part of her life, she moves to Palermo with her family when she was still a child and it is when she was about ten years old that she has her first unpleasant experience, her father decides to limit her freedom, something that she tries to get back by marrying when she was sixteen. 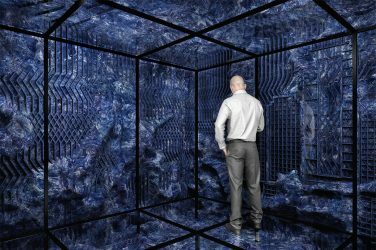 Unfortunately things didn’t work out the way she hoped and the young girl finds herself prisoner in a cage that stops her from expressing herself as a woman and not just as a wife. She finally reclaims her freedom when she’s almost forty and decides to end her marriage and to fulfill her needs. This journey of self empowerment coincides with the start of what will be a great career as a photo reporter. At the beginning she starts writing fulfilling her childhood dream of becoming a writer but then she was asked to provide photos for her journalistic work and it’s almost by that chance she starts working with the camera. 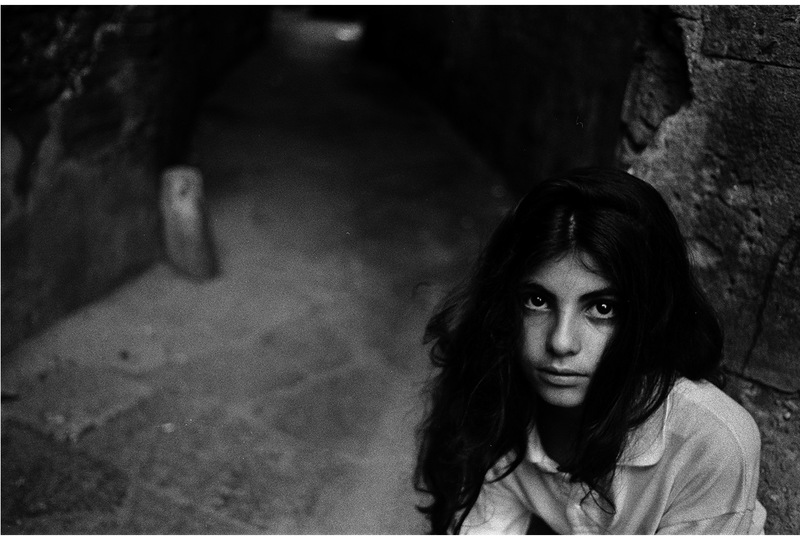 Letizia Battaglia, 1982 near St. Clare’s Church. The Killer game. 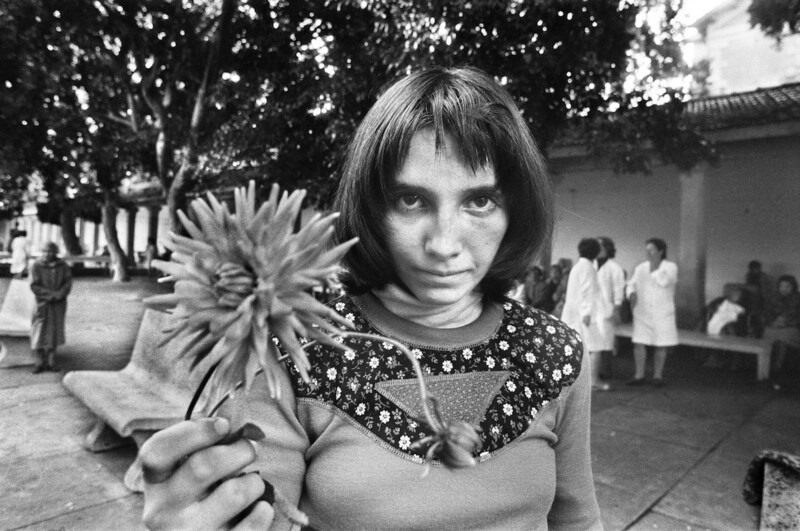 After two years spent in Milan, in 1974, she goes back to her hometown with her new life partner Franco Zecchin with whom she founds her photography agency “Informazione Fotografica” which also involved Josef Koudelka and Ferdinando Scianna. For Letizia these are times of intense work for the Palermitan newspaper “L’Ora”, those are the years when “Palermo suffers immensely”, years when the mafia murdered five or six people every single day. 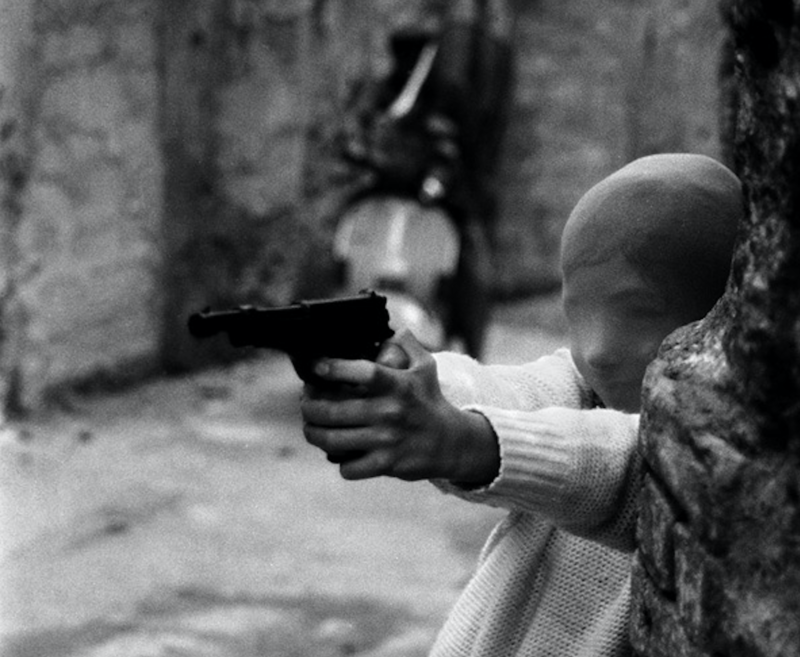 Battaglia was always present on the crime scene, with her Pentax camera, documenting one of the darkest times in Italian recent history: the murder of Piersanti Mattarella, then President of Sicily, which occurred on the 6th of January 1980, and the killing of Cesare Terranova, judge and President of the Antimafia committee in Rome, just to mention some. She was the one who took the pictures of Giulio Andreotti at the Zagarella Hotel while he was meeting with some mafia affiliates, evidence that was after used during the trials against him, or the famous picture of the arrest of mafia boss Leoluca Bagarella. It was an extremely hard period of her life which scarred her to the point of her saying that she would never have the strength to do what she did then again and especially to see what she saw; dead bodies covered in blood that she tried to mentally project on the stage of a theater as if that horror and that blood were just fiction. 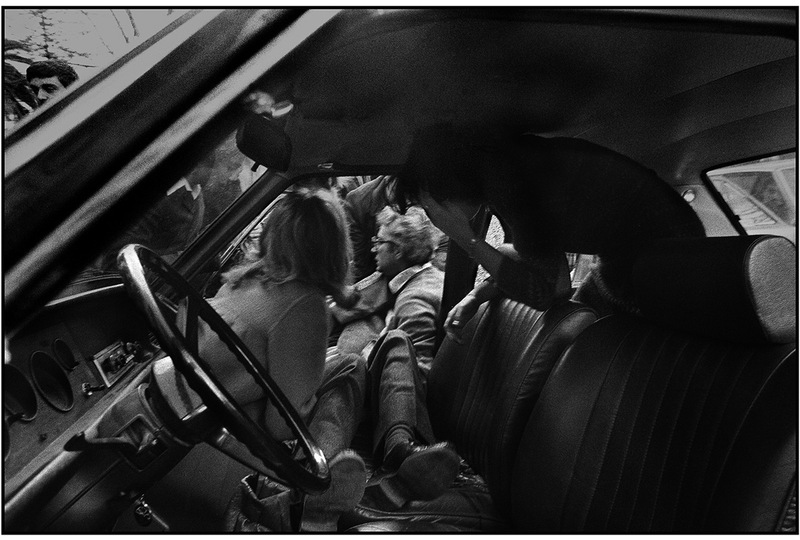 Letizia Battaglia, 1980 Piersanti Mattarella is dying while being taken out of the car by his brother and future Head of State of Italy. Unfortunately they weren’t and, with the murders of the judges Falcone and Borsellino in 1992, Letizia decides to open a new chapter of her life founding the publishing house “Edizioni della Battaglia” never stopping fighting for the redemption of her city, through showing the beauty, culture and history of Palermo, trying to separate it from the infamous image people had of it at that time. Many have tried to put her in a box and consider her “the photographer of the mafia” but this could not be further from the truth. 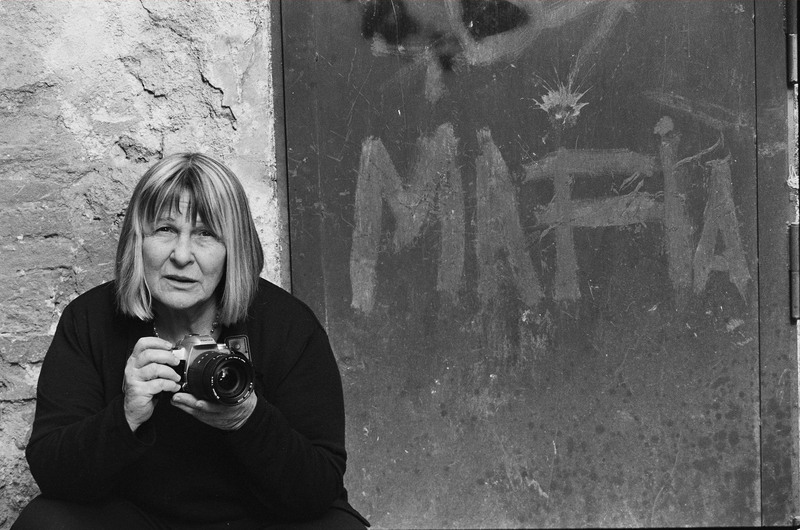 Letizia Battaglia is an all-round photographer but her vast production is still unknown to most people. We can mention her portraits of small girls, around ten years old, who take her back to her childhood and when like them she was full of dreams. Then there are the patients of the Psychiatric hospital in Palermo; the people of the working-class neighborhoods, her favorites, where she likes to spend time talking to the locals; her beautiful dear city Palermo, photographed from every angle and with which she always had a complicated relationship of “anger and sweet desperation”. Even though she reached fame, in Italy and abroad, displaying her works in Canada, the United States, Brazil, Eastern Europe, England and Switzerland, and she was awarded the Eugene Smith Prize in 1985, Letizia continued to be involved with projects in Sicily, one among the others the long awaited Inernational Center for Photography in Palermo, which was inaugurated on the 25th of November 2017 inside Pavilion 18 of the Cantieri Culturali at the Zisa which is also the location of the photographic archive of the city. She commented the event with these words: “It’s a collective dream (…), I consider the Center as a small ‘cathedral’ and to know that this ‘cathedral’ is in Palermo makes me happy (…), it might seem exaggerated but this represents the fulfillment of a dream I had during the last forty years”.